In the initial steps of building a brand, sometimes even in RFIs we receive, our potential and current clients often ask: What are the critical success factors required from our company in order to develop an effective brand and communicate it? In other words, they want to know what their company can contribute to the process to ensure success. This is an excellent question, and one that should certainly be asked and answered early on. One of our long-standing clients, Camargo Pharmaceutical Services, has partnered with SCORR for more than six years now. Our relationship has been fruitful: SCORR functions as Camargo’s internal marketing arm to the extent that we develop and handle all aspects of the integrated marketing plan and the company’s annual marketing budget, and we frequently represent Camargo in-booth at trade shows. The reason for Camargo’s success started with a great business plan and a single focus on being the industry’s leading experts in a new regulatory pathway — 505(b)(2). Camargo’s reach has expanded to more than 25 countries in the time we’ve worked with the company. And Camargo has a great brand. Camargo possesses one of the most distinctive brands in the industry. But a great brand isn’t the only key to success. Here are some key steps we (SCORR and Camargo) have taken to build a lasting relationship and a successful brand. 1) Despite the playfulness of the dog and headline, Camargo’s brand is grounded on strategy — the creative messaging and visuals support that strategy. Camargo’s brand is built to plug its team as the industry’s leading experts. While there’s nothing unique about that, the Camargo brand also serves an unconventional purpose. Because the 505(b)(2) development pathway was instated only in 2003, the industry lacked awareness, let alone an understanding, of what 505(b)(2) entailed. Camargo’s audience would need to become cognizant of the facets and benefits of 505(b)(2) to understand what Camargo offered. Therefore, SCORR needed to make certain the brand would also function as a means to educate the industry on 505(b)(2) and its advantages. 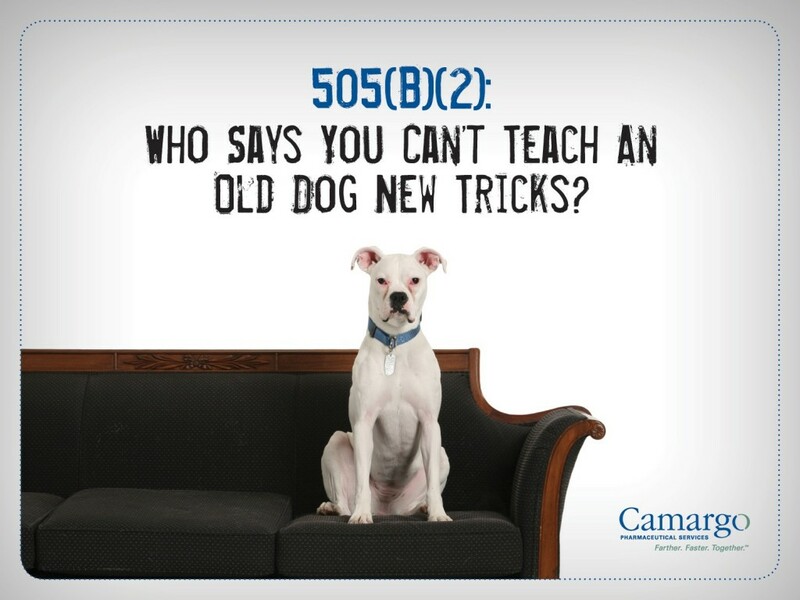 In 2006, we launched Camargo’s “505(b)(2): Who Says You Can’t Teach an Old Dog New Tricks?” campaign. 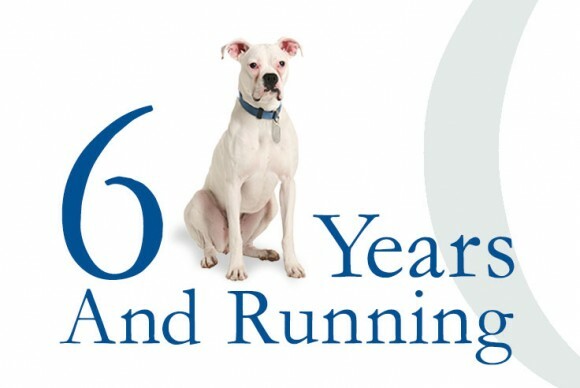 The “old dogs, new tricks” play is a familiar one, especially in the drug development industry, where old drugs are oft referred to as “old dogs.” The brand’s messaging guides readers through the ins and outs of 505(b)(2), upholding Camargo as the experts throughout. 2) From inception, Camargo’s team embraced the brand and messaging, fully supporting and committing to its implementation and consistent application. Internal buy-in is a HUGE part of ensuring a brand’s success. While all companies have a set of values as well as a mission and/or a brand they encourage employees to live by, it’s rare to find a company that naturally exudes its brand. In every brand we set out to build, this is a foremost objective. Yes, a company needs a valuable selling proposition to push to its audience, but it also must be able to deliver on that promise; a brand must be true to what a company is. Many of our clients go so far as to craft internal launch campaigns and “living the brand” books. We fully encourage this. Internal buy-in gives your brand momentum and makes it more than a façade. 3) Camargo locked us in as a comprehensive internal marketing team to ensure effective execution and ongoing management of the brand. This rings true in the relationship we’ve had with Camargo. Camargo trusts us wholly and completely with its budget and marketing direction. As a result, we have a vested interest in how well the brand performs. The responsibility is on us to make the whole thing work, not just fragmented initiatives. A marketing partnership works best when your marketing team can wrap their arms around the big picture, develop an integrated marketing program and take ownership of outcomes. 4) Camargo experienced success. Lots of it. And it didn’t slow the company down. Over the course of 10 years, the 505(b)(2) pathway has gained acceptance and popularity. Today, approximately 50 percent more 505(b)(2)s are approved than 505(b)(1)s (the traditional development pathway for branded products). While 2013 marks the 10th anniversary of the 505(b)(2) pathway, it also marks Camargo’s 10th anniversary. Earlier in this post, I mentioned that Camargo has had its share of growth and success. 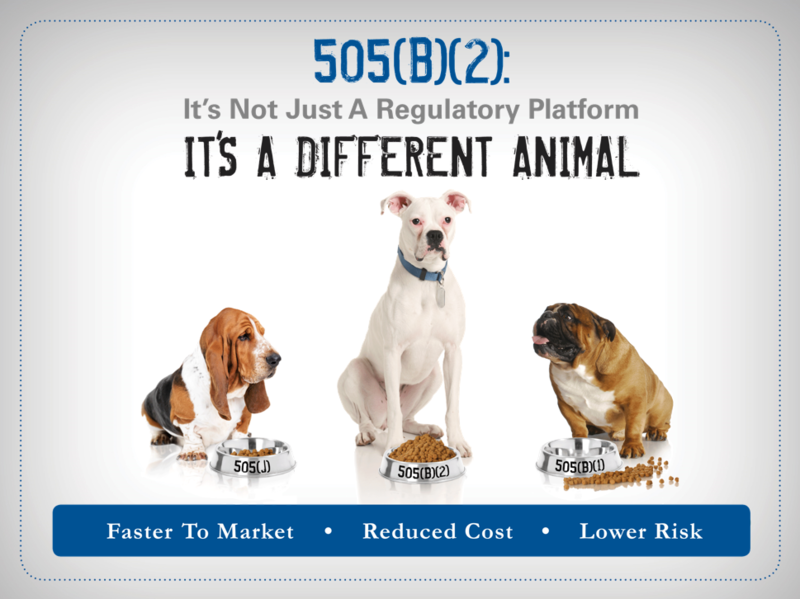 But at five years in, we were frequently encountering the same feedback from the industry — there was a misconception that because 505(b)(2) is a regulatory pathway, Camargo’s capabilities were narrowed to regulatory execution and submission services. In reality, Camargo is a full-service development partner; its involvement begins at product planning, identification and feasibility testing, and extends all the way through preclinical, clinical, CMC, regulatory and commercialization stages. After further analysis of the industry’s perception, we added a new layer to the original branding that addresses the confusion head-on. Again, the purpose of this branding is to educate Camargo’s audience about 505(b)(2) just as much as it is to promote Camargo as the industry’s top dog in 505(b)(2). All this to say, through continual perception studies we identified an issue that could have plateaued the growth of Camargo’s brand, and its team was all-in on tackling it. When companies experience success, they’re prone to think this about their brand: Why mess with a good thing? Camargo has always held this mentality: How can we make a good thing better? Open-mindedness and attentiveness are characteristics of a company that cares about the long-term growth and success of its brand. 5) Trust, communication, transparency and other time-worn words. The above words come up a lot when you talk to marketing and advertising firms. They are promises, and in many ways, they’ve lost their potency due to overuse; they feel like placeholders. But I can’t stress trust, communication and transparency enough to our partners. Not only do we promise these things, but we also expect our clients to advocate them as well. Over the years, Camargo’s key leadership has maintained open and fluid communication with our marketing team. Both parties are forthright, which cultivates so much more efficiency and value from the project process. Our open communication with Camargo ensures that as the company’s strategic needs shift through the year, or change from year-to-year, that marketing efforts will shift and flex to fit those strategic adjustments. Have insight into establishing brand longevity? Leave your thoughts below!